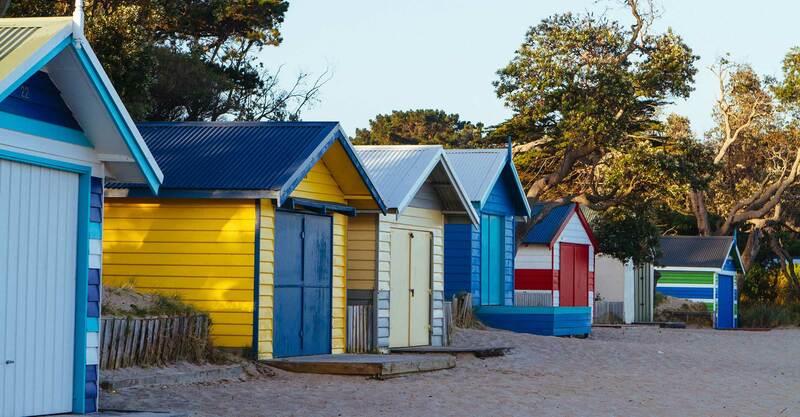 Go Beyond Melbourne offers the inspiration and tools to plan a multi-day tour around four iconic regions – each one within 90 minutes from Melbourne: Yarra Valley, Phillip Island, Mornington Peninsula and Geelong Bellarine Peninsula. Customised itineraries will help you create inspiring and unique journeys beyond the city centre. Discover the best experiences of these four regions on a personalised road trip. Create a memorable Australian journey for your visitors: breathtaking landscapes, sensational native wildlife, celebrated wineries, restaurants, indulgent spa retreats, glorious gardens, u-pick farms, quaint Aussie villages and more! The children will never want to leave! Interactive and adventurous fun experiences will engage the whole family, both in the water and on land. 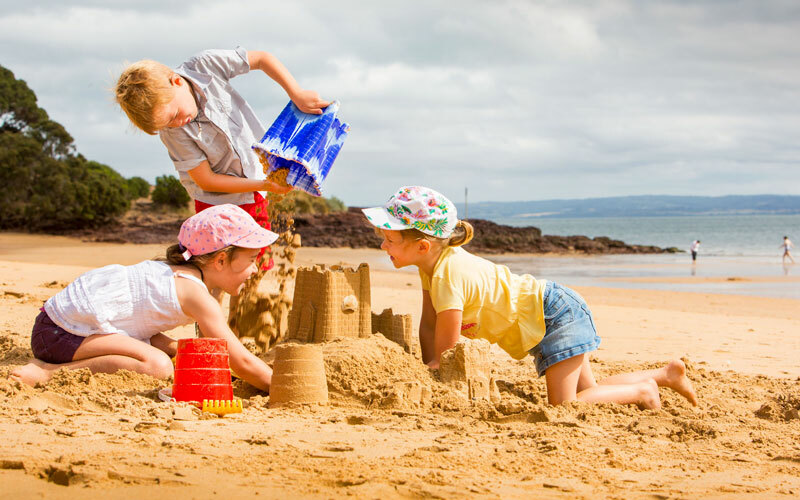 The region is brimming with endless family fun, wildlife and adventure experiences, delightful mazes, tree surfing and classes which teach new skills: surfing, sea-kayaking, fishing, horse riding. Breathtaking forests, seascapes and national parks provide a perfect outdoor forum to run wild, play amongst nature and get up close to wildlife in its natural habitat. 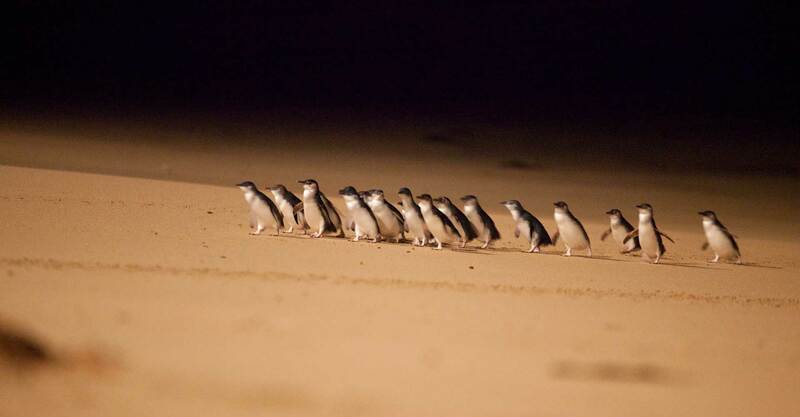 Staying overnight gives you the chance to explore unique attractions at night such as the Penguin Parade and Moonlit Sanctuary’s lantern-lit tours spotting Australian endangered species. 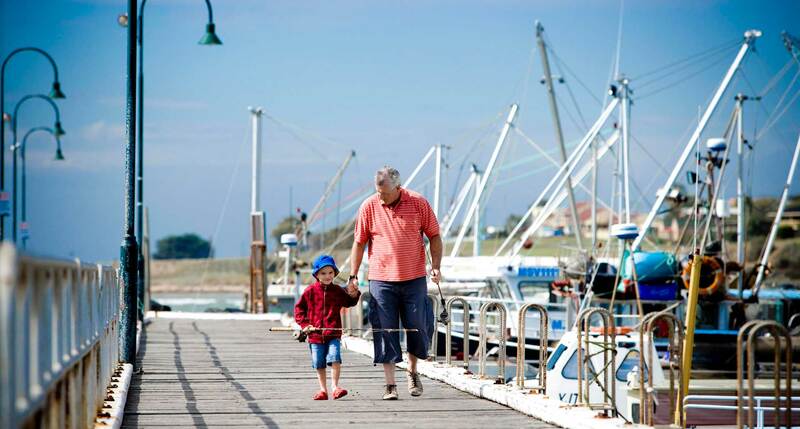 Wake early to feed the birds at Grants Picnic Ground or to take a surfing lesson on the Bellarine Peninsula. There’s a fantastic range of family accommodation, from budget motels to luxury homes and huge apartments. Come and escape to one of the most romantic places in Victoria! Treat yourself to all that is sumptuous, luxurious and exclusive. Wander in the cool forests of the Dandenong Ranges or stroll the white sandy beaches and clifftops along the coast. Float above vineyards early morning in a hot air balloon, get lost in endless fields of tulips, outdoor sculpture parks; try island hopping by helicopter, immerse yourself in geothermal springs at sunset. Snorkel with the elusive sea dragons in Port Phillip Bay, take a bespoke gourmet tour to search for truffles in winter or a gin master class. Sample fine wines, handmade chocolates, cheeses or opt for a delectable degustation menu at one of the region’s signature restaurants. Choose a beautiful country house hotel, a beachside hideaway, an indulgent lakeside retreat or a luxurious guest room in a forest village. There are 2 itineraries to download. A descriptive itinerary and a 5-day Romantic Indulgence suggested itinerary for a refreshing and memorable escape. This is one of the best places to encounter Australian wildlife is in its natural habitat. Fresh air, stunning views and amazing wildlife make for an incredible adventure. Up close animal encounters will surprise and delight! Welcome the little penguins waddling ashore at Phillip Island, swim with dolphins and seals in Port Phillip Bay. Wade alongside a platypus at Healesville Sanctuary. Hand feed an echidna and get up close and personal with a cuddly koala. Take a scenic helicopter flight, try a Segway tour on the waterfront or at a winery, go tree surfing or soak up all the hi-octane action at the Australian Motorcycle Grand Prix. Staying overnight opens a whole new world of adventure activities! 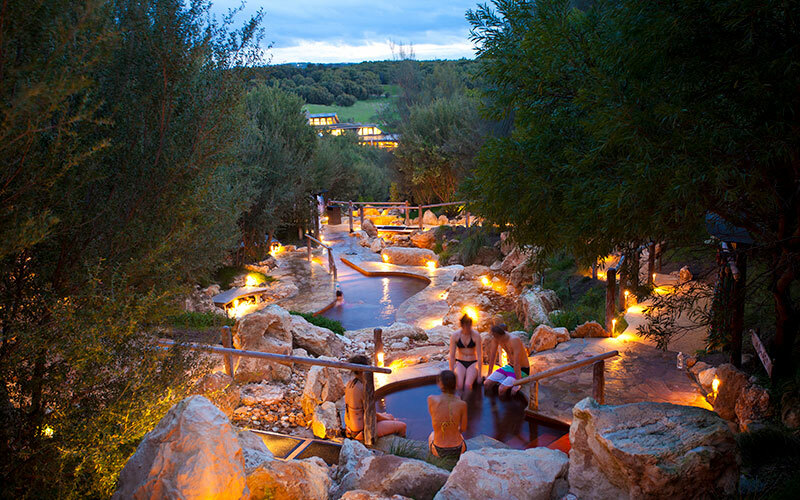 Indulge at twilight in geothermal springs, soar high above the vineyards early morning in a hot air balloon, walk the Cape Woolamai trail to view local wallabies at sunrise. Magic moments like these make for picture-perfect memories. Exactly what happens when you Go Beyond. There are 2 itineraries to download. A descriptive itinerary and 5-day Wildlife & Adventure suggested itinerary, jam-packed with wildlife encounters, adrenalin filled adventures. Create a food and wine lovers’ journey that spreads from beautiful forests through to coastal landscapes. This region is one of the world’s leading producers of cool climate wines. It is also home to a burgeoning group of brewers, cider makers and distillers. Explore world class wine, chef prepared signature dishes, superb produce and cuisine that only this part of the world can produce. Fish for trout or salmon, buy your own mussels, oysters and abalone from the boat, pick your own berries at the farm gate. 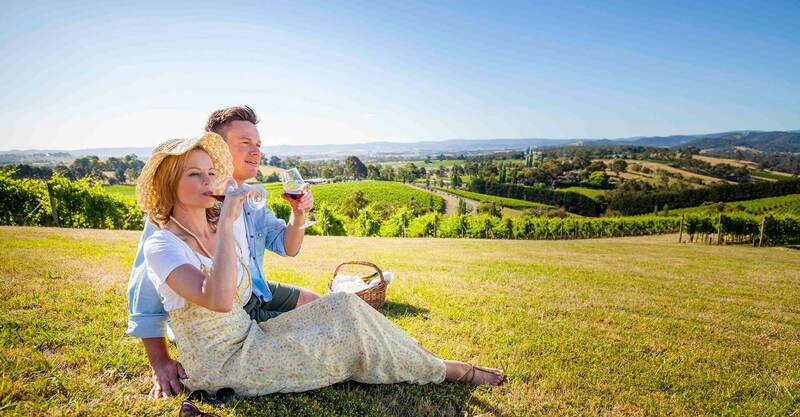 Meet passionate food and wine producers, local makers and growers as you explore the taste trails on the Bellarine Peninsula, in the Yarra Valley and on the Mornington Peninsula. Staying overnight allows you to truly immerse in the good life with degustation menus, hot springs ‘bathe & dine’ packages or an evening dining tour on Australia’s oldest steam train through the famous Dandenong Ranges. 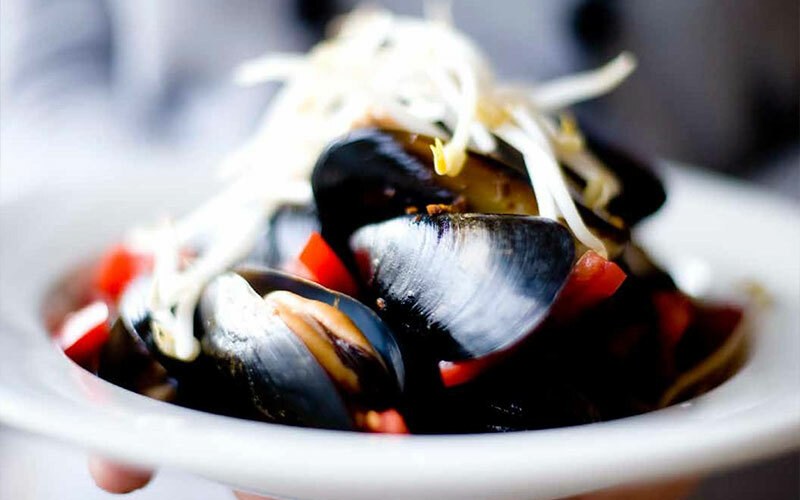 You have not truly travelled until you’ve eaten like a local. Exactly what happens when you Go Beyond. There are 2 itineraries to download. A descriptive itinerary and 5-day Food & Wine suggested itinerary for a gourmet discovery unlike any other.